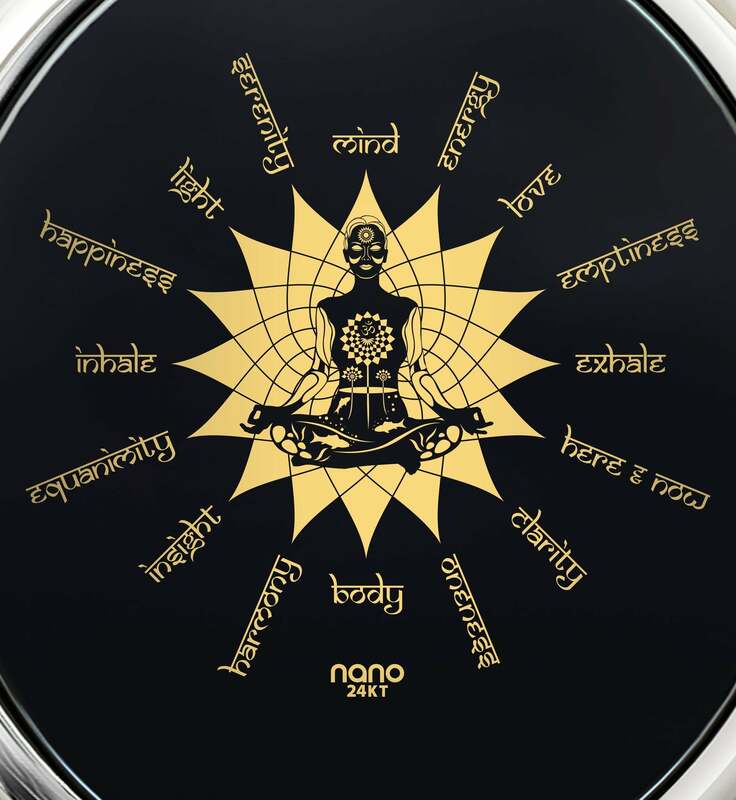 Spiritual Jewelry & Mystical Gifts, Awe a Loved One With Nano Jewelry! Sacred scriptures and words of worship. Every religion and faith, every prayer and path, all lead to one road. There is something within each of us, a force or a feeling if you will, that compels us to look for greater things. Things that contain deeper meaning and more personal sense than the mundane goings-on of everyday existence. Some people do this by walking the path of their friends and ancestors, taking solace and meaning from faiths which have been around for thousands of years. Others forge their own path, not satisfied with the wisdom of old, or any one branch of it. Their views and the way in which they pursue the truth might be different, but the strength gained from such pursuits is beyond doubt. Faith in all its numerous forms helps make us human – accepting and encouraging it in others makes us better. Making an effort in understanding the importance of a loved one’s beliefs broadens the mind and brings the two of you closer together at the same time. 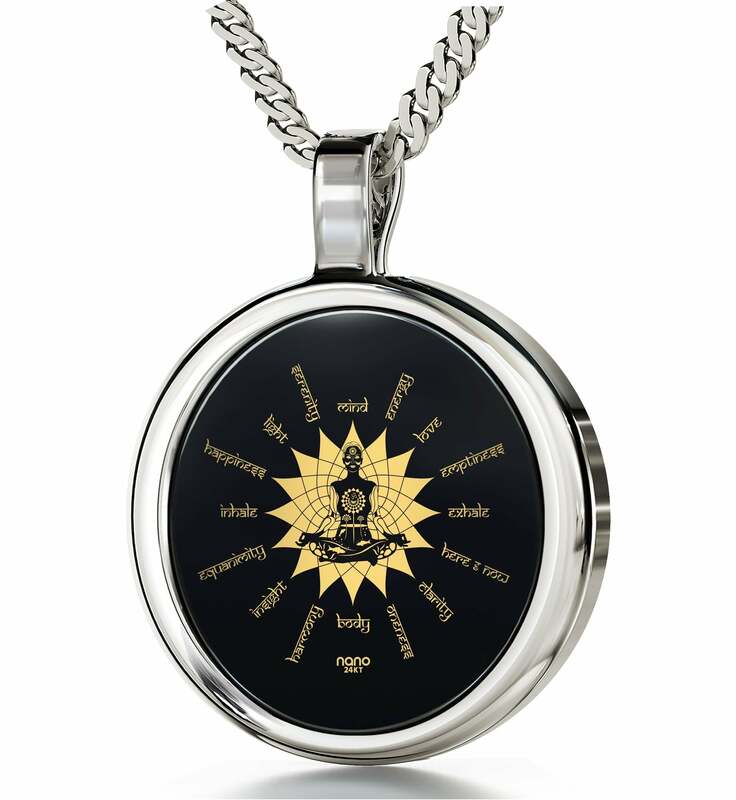 A religious gift for women and men which symbolizes a part of those beliefs that they hold most dearly is a fantastic way of demonstrating that effort with more than just words. 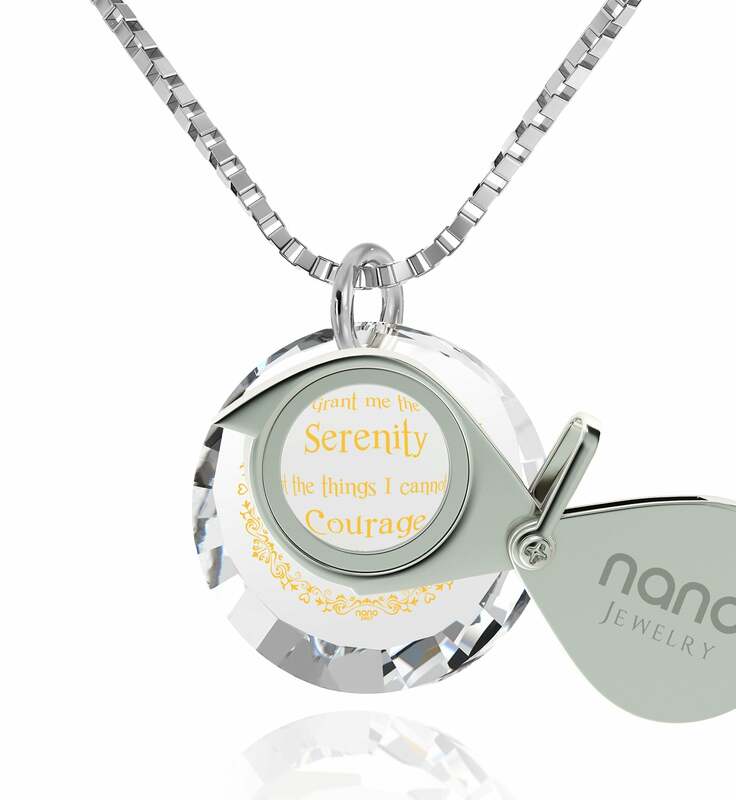 At Nano Jewelry we know this to be true, and can make the experience of giving that gift an amazing one! 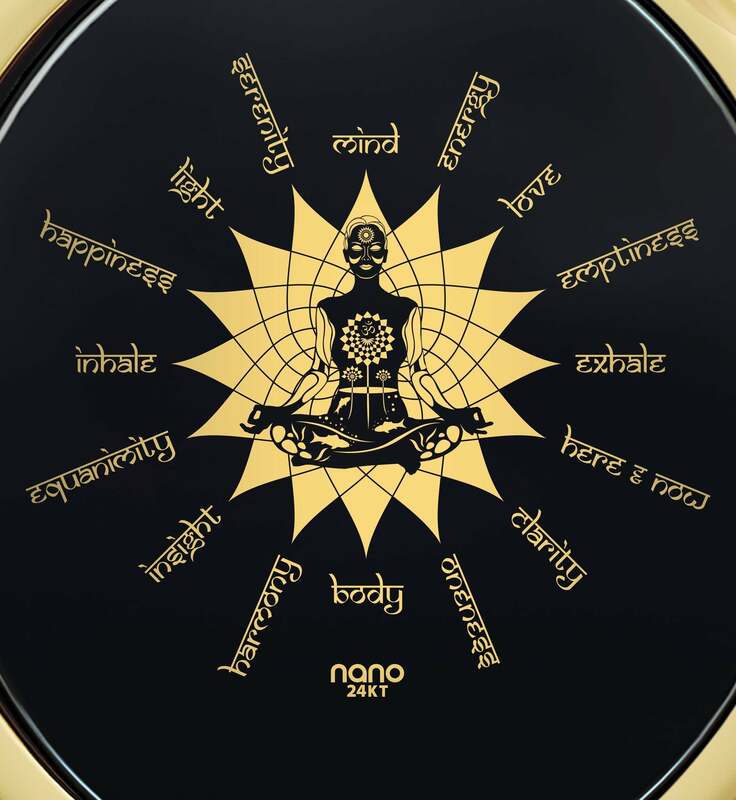 For the seekers of spiritual truth which can take on countless intriguing forms, we’ve prepared mystic jewelry that was inspired by a wide array of practices and beliefs. 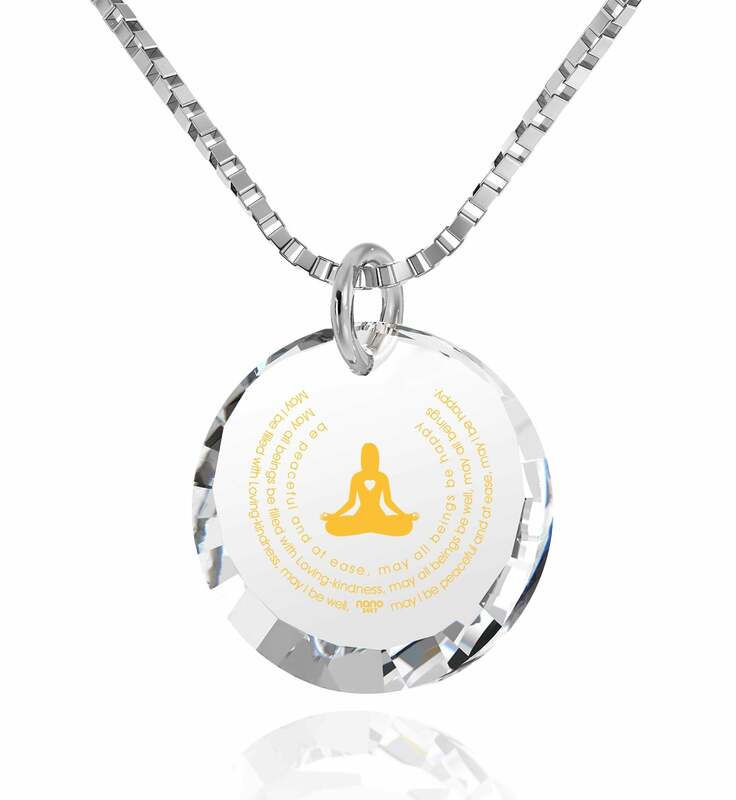 Exploring it will uncover such diverse and unique treasures as a sterling silver tree of life necklace, or gifts that let everyone around her know that she’s in love with the practices of yoga and meditation. 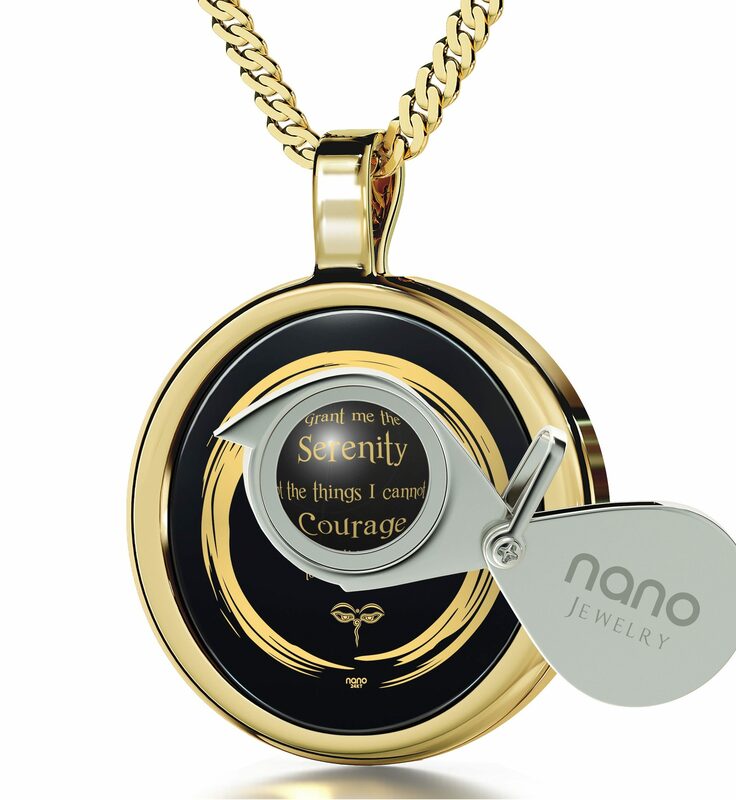 When it comes to inspirational gifts for someone who swims against the current, you’ll find none better! 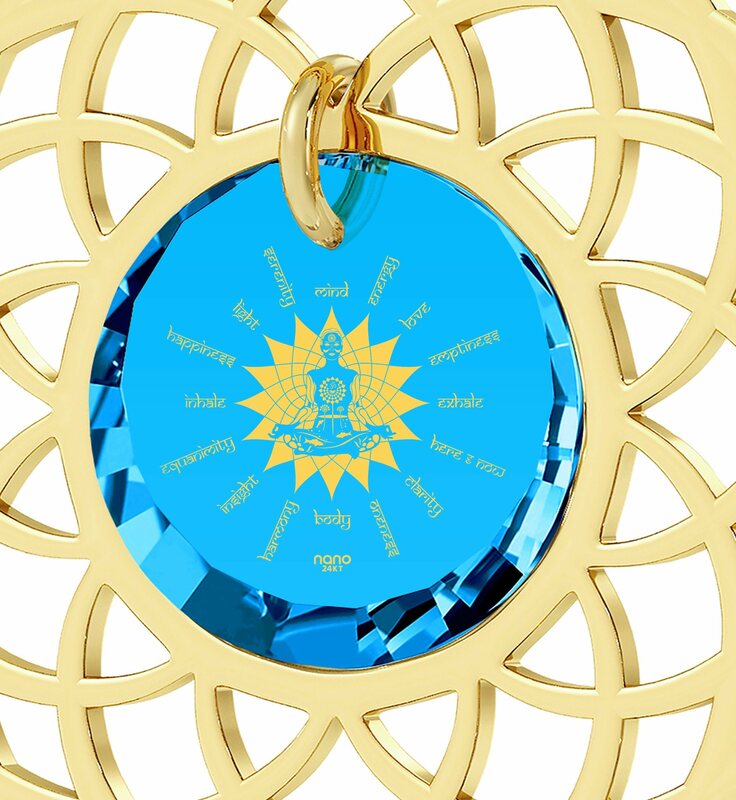 Followers of the oldest Abrahamic faith are going to be thrilled if you present them with one of the special pieces featured in the collection of Jewish gifts! 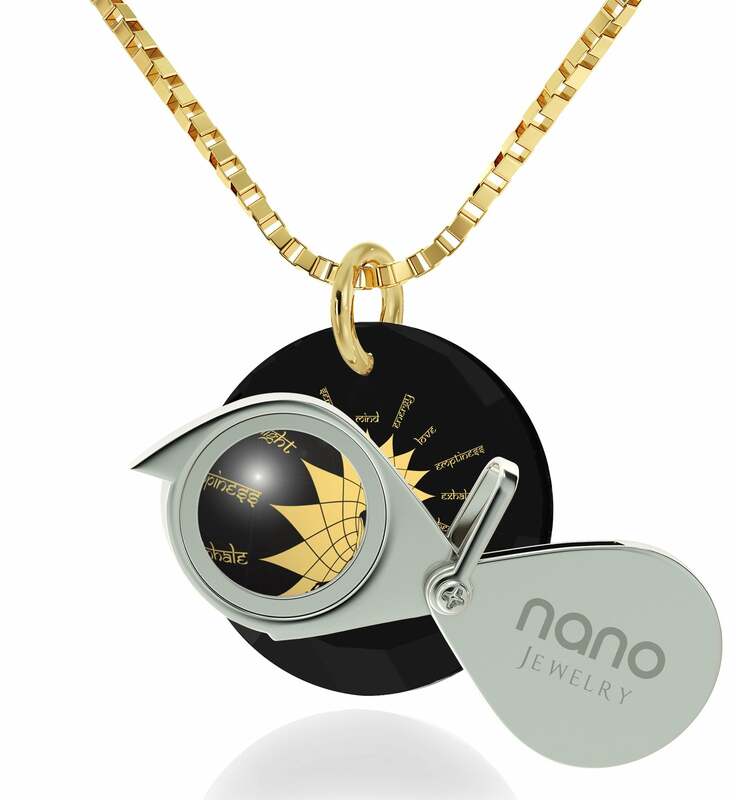 It boasts Star of David necklaces for men and women adorned with the Shema Yisrael along with mystical Kabballah tree of life pendants. 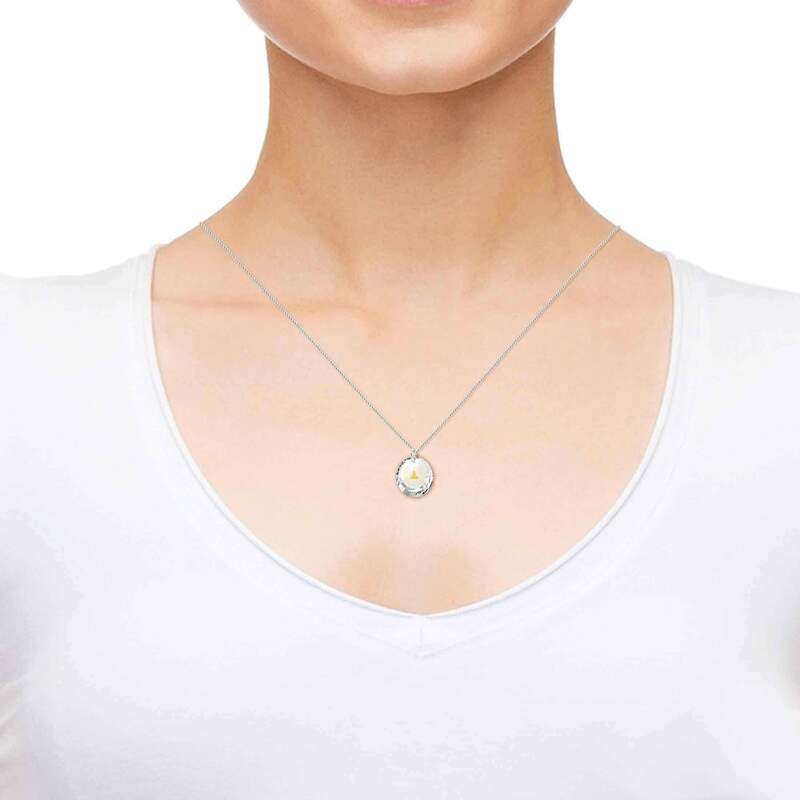 We’re especially proud of the star-shaped necklaces suitable for women and men alike. 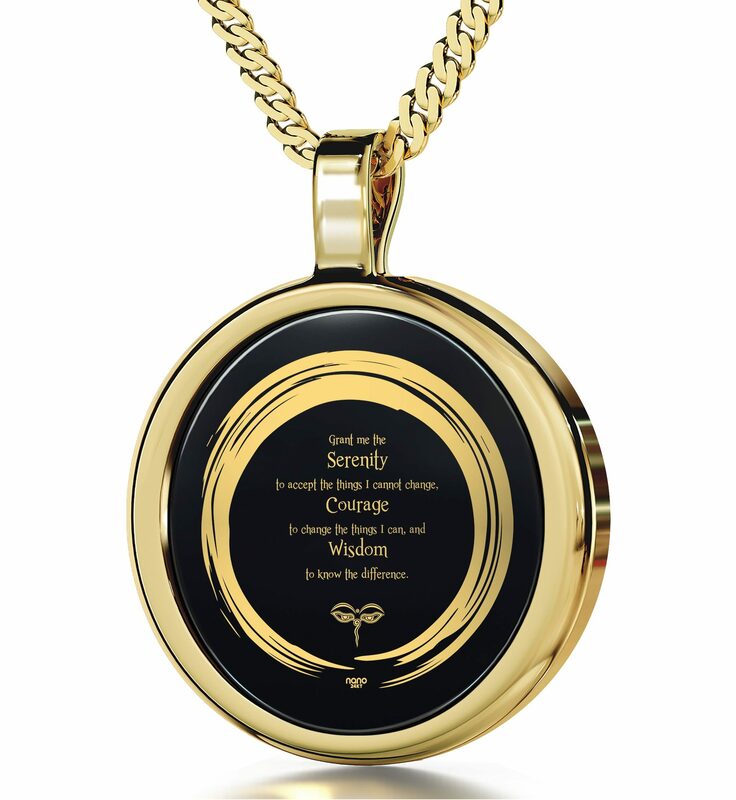 The combined beauty of their frames and the clever way in which the Shema has been imprinted onto them make each a personal expression of faith as well as an unusual conversation starter. Our largest spiritual collections are comprised of gifts for Catholics and Christian gift items suitable for members of any other denomination. Prominence is given to a couple of the most meaningful passages from the Bible. David’s wisdom and devotion, Jesus’ love for the Lord and his children as well as the testimonies of the apostles are given voice through golden words on Christian gifts for men and women as fraught with meaning as they are graced with beauty. 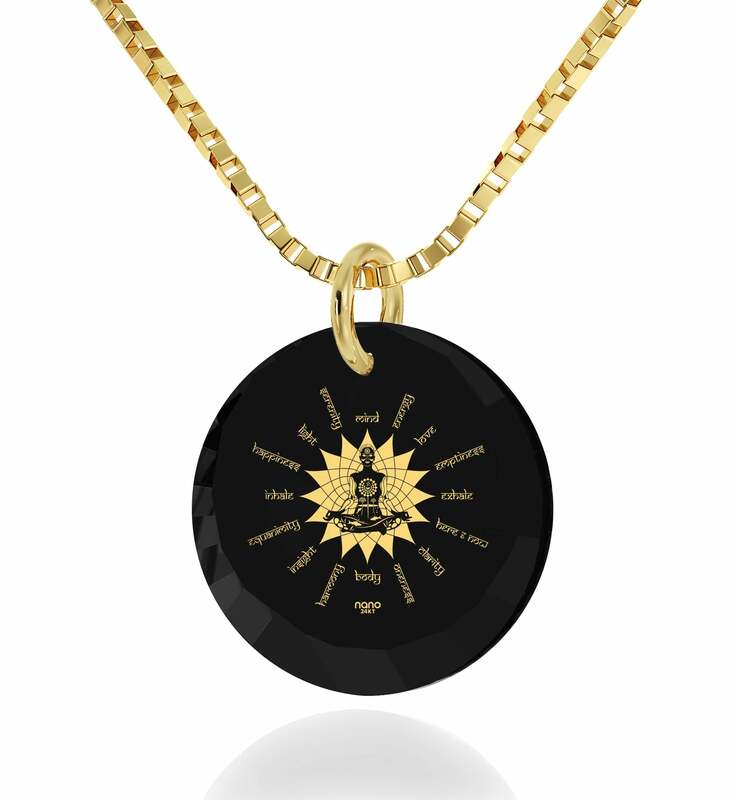 You needn’t limit yourself to God’s written word in English either as the majority of the inscriptions are available in other languages like Spanish or Latin, and there are even scripture necklaces with the Lord’s Prayer in Jesus’ own Aramaic. 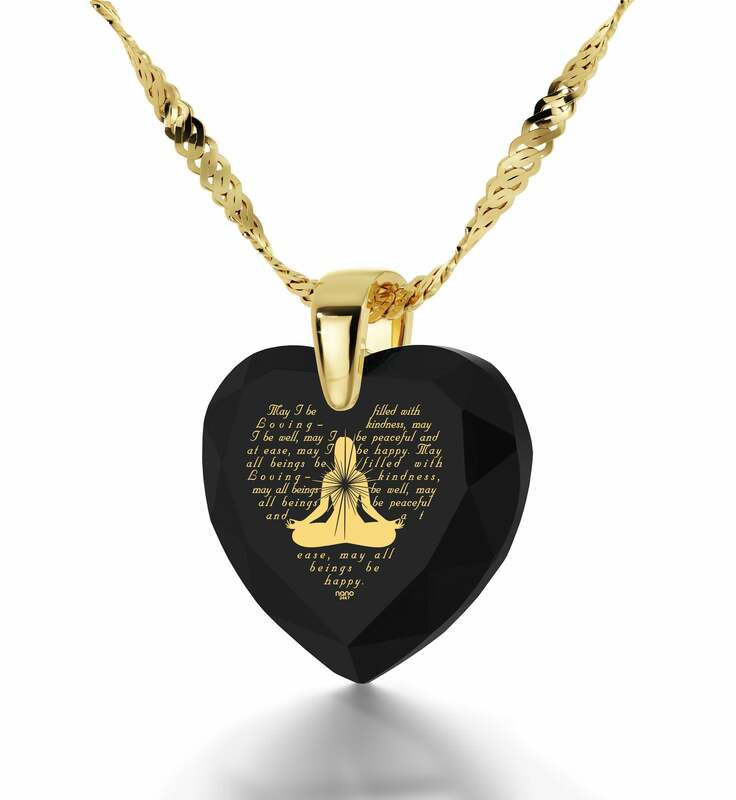 Delight a devout Muslim you care for with an Ayatul Kursi pendant from our Muslim gifts collection! 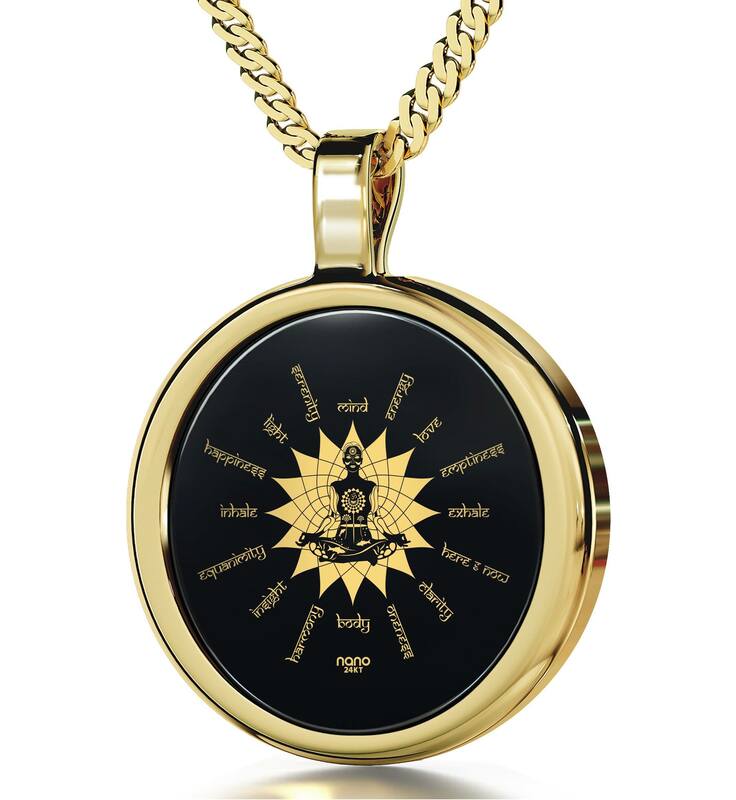 The inspired verse is a beloved reminder of His kindness and protection, and expressed with meticulous care in one of our imprints, it will intrigue those in the know with the gravity of its message, and everyone else with the way in which its delicate Arabic script has been brought to life. 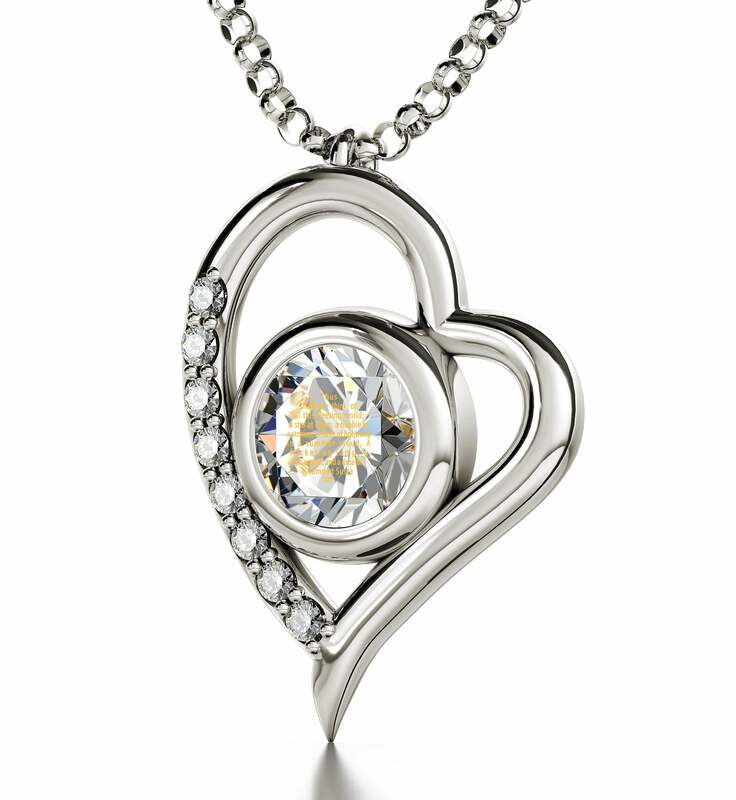 It is a gift both men and women will love right away. Buddhists haven’t been neglected either. 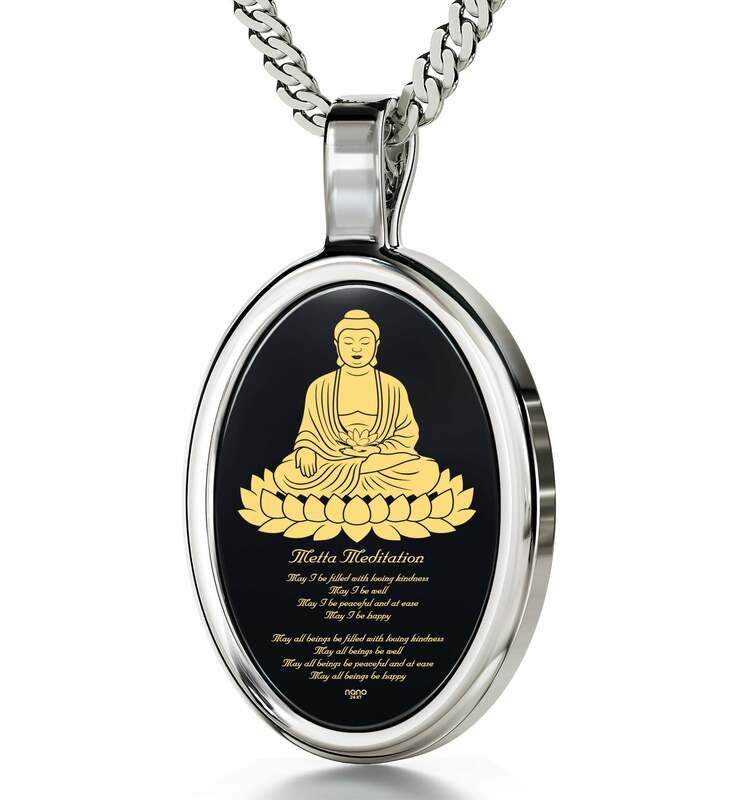 The Buddha gifts we have in store for them showcase a number of the faith’s most sacred principles with radiant gold. 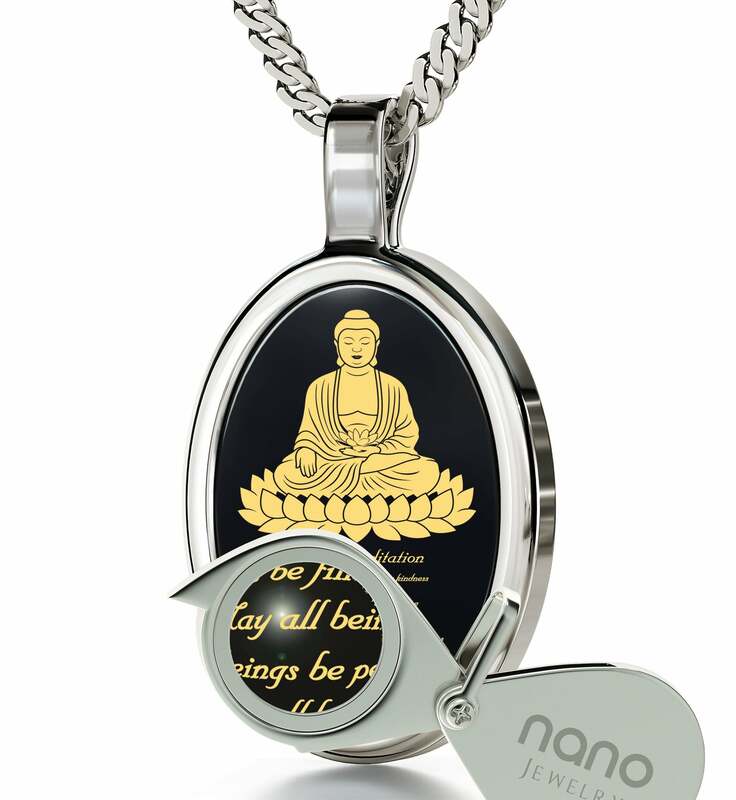 A Buddha necklace inscribed with the wisdom of the sutras might be something your girlfriend will enjoy. Or you can show your support for your husband’s efforts to truly love each living thing with a Metta pendant showing a profound Buddhist mantra along with an endless knot he’ll spend hours contemplating. 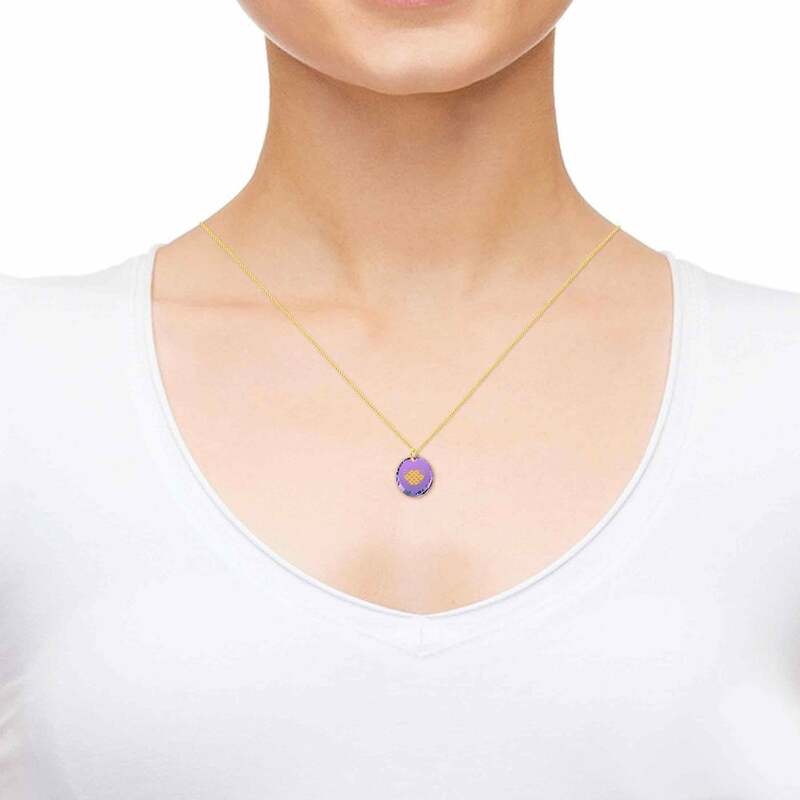 Another interesting fact about our religious jewelry is that all of it shares a common, or in our case, an uncommon connection. 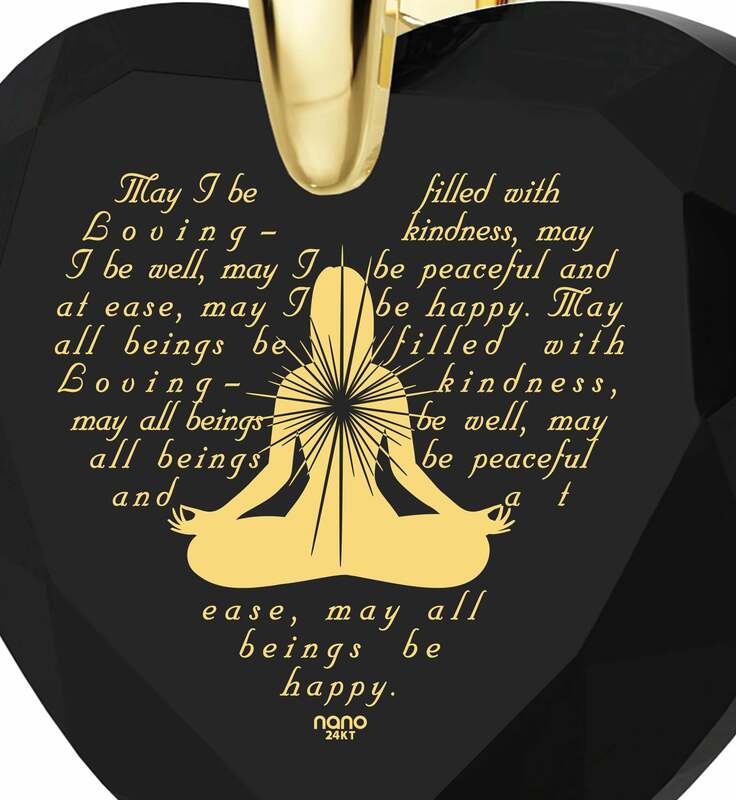 Whether the person you give one to draws strength from the Lord’s Prayer or is filled with awe when thinking of a Buddhist sutra, the well of each religious inspiration is portrayed on the necklaces with nothing less than pure 24k gold. 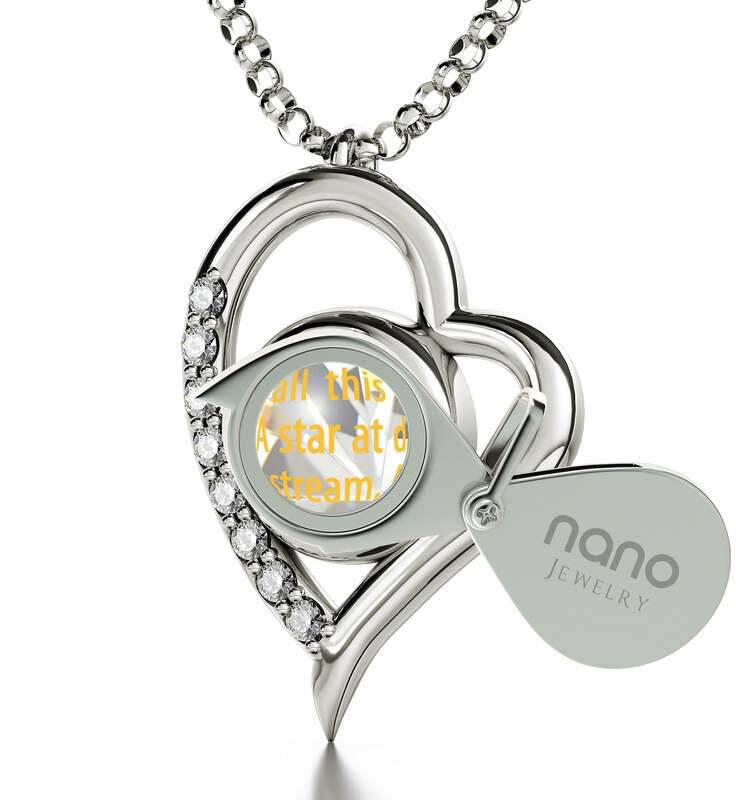 What’s more, we’ve developed an inscription process used by no other jeweler that produces stunning golden images of never before seen quality. 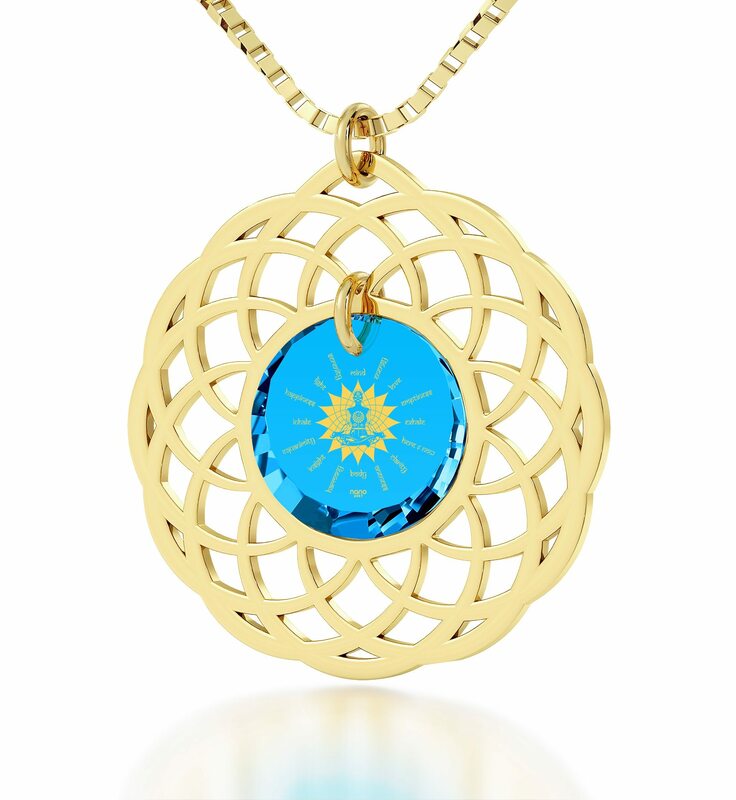 Every necklace is as unique as the bond one feels to that which lies beyond, and is therefore even more meaningful. Most inscriptions have amazingly intricate details that are best appreciated with a careful look. 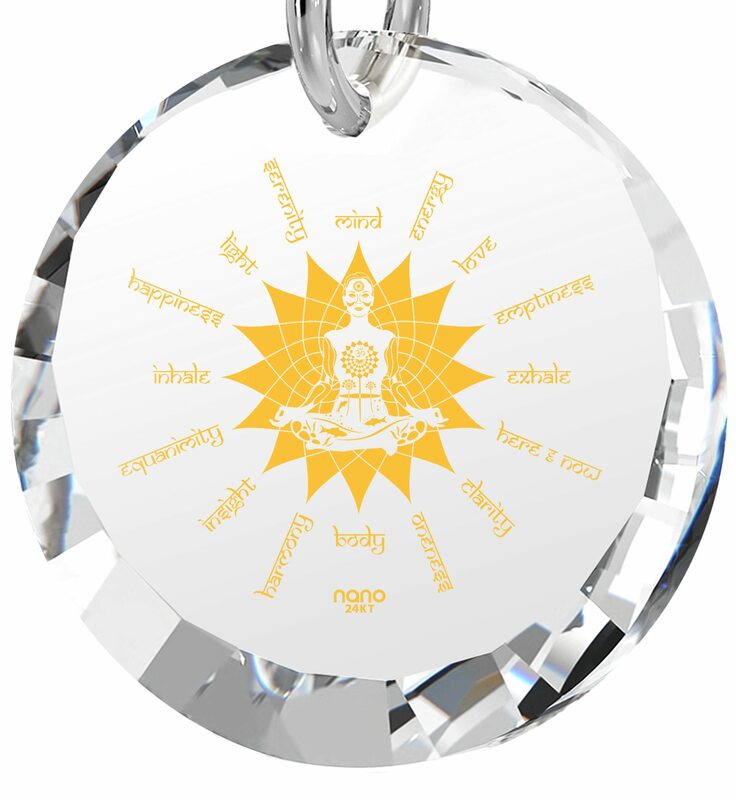 That’s why a special little magnifying glass arrives with each necklace, helping its owner to focus better on the complex golden images and words rather than on squinting in hopes of seeing them better. The inspirational jewelry for women and men also arrives in a splendid box which makes the gift all the more special. Experiencing a connection with one’s faith is one of the most fulfilling experiences one can hope to have. The right gift has the power to rekindle that faith if it slumbered for too long, or make a strong one burn even brighter with renewed conviction. Be the one whose token of understanding makes this happen, and have a profound impact on the life of someone you care deeply for.